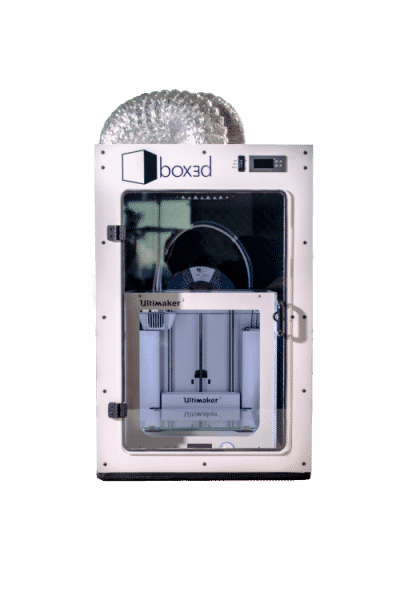 Temperature Control: box3d controls the ambient temperature of the 3D printer by extracting hot air. This enables you to find the optimal environmental temperature for the best printing results possible. You can set the temperature controller to your required reference temperature, our you can decide to have box3d continuously refreshing the air. Noise Insulation: box3d is equipped with an isolating foam and sealed window which provides noise insulation. This results in less disturbing noises from your desktop 3D printer. 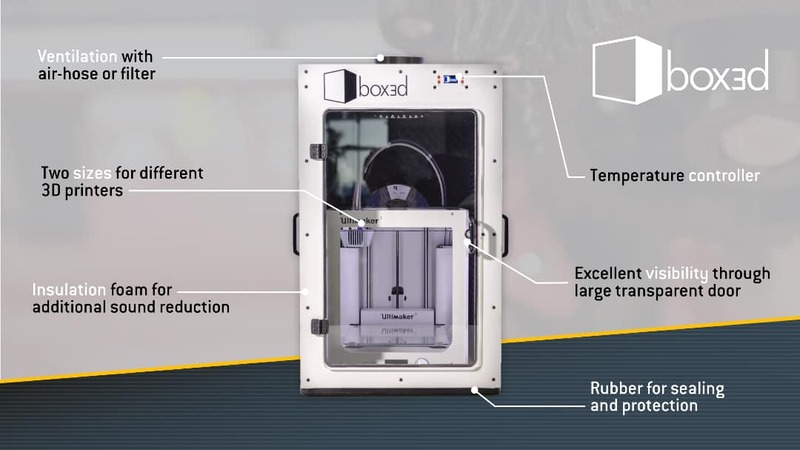 Gas Extraction: box3d extracts gases from your 3D printer. The gases are led outside your working area through an air tube, which provides healthy 3D printing on your own desk. Perfect access: box3d has a transparent door for easy monitoring and quick access. You can easily check the printer status, or remove an object when the print is finished. Full access to your 3D printer is easily obtained by lifting box3d from the machine. This is usefull for changing your filament, or for doing maintenance on your machine. * Always check your own 3d printer specs. The use of box3d is at your own risk. 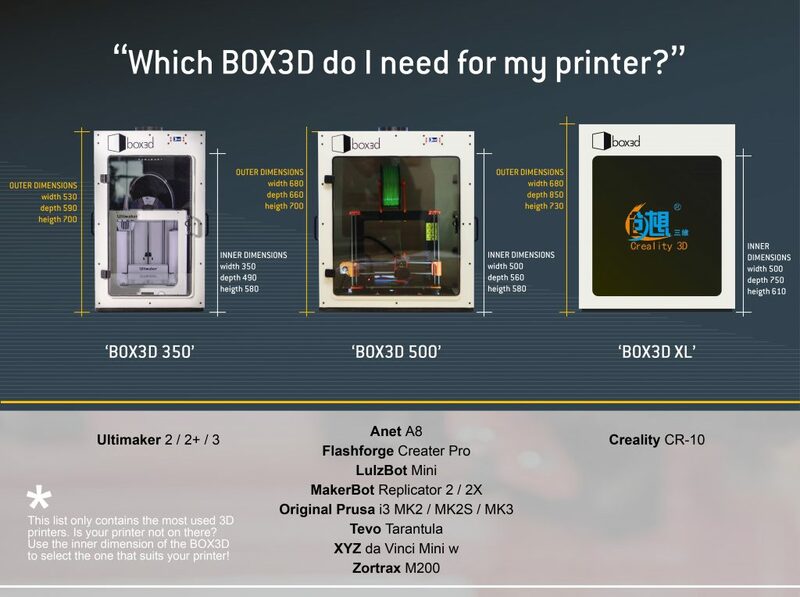 box3d is not responsible for any damage to your 3d printer.